Our Coffee News Suncoast Team! From Boston Massachusetts, Reggie and his wife Joanne have 3 children and 6 grandchildren of which he states are pretty great ones, too! Growing up with 6 siblings, four of which were two sets of fraternal twins, it is safe to say he loves being part of a large family. His motto in life is people should come first and respect each other more. After graduating High School, he enlisted in the Air Force, serving for four years and was stationed in Alaska. Then, he entered the Seminary for 6 years studying to become a priest. After deciding to take a different direction in life, he found himself back in Boston working for the City as a Social Worker for Veterans, all while getting his B.S. from Suffolk University and a Masters in Education from Northeastern University. After this long spanning career ended, he became licensed to work as an Elevator Mechanic for 8 years. 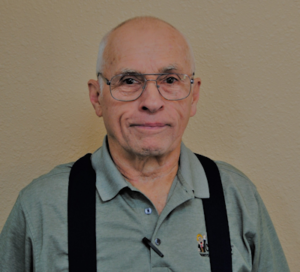 Once ready for retirement, he found himself following family once again and moved to Citrus County, Florida. He drives 300 miles each week delivering Coffee News to over 250 restaurants, doctor’s offices, and other waiting areas throughout Hernando County. He accomplishes this all in just two business days, all 52 weeks of the year! He says his commitment to Coffee News and passion for timely and reliable deliveries is in part thanks to the friendly people who greet him along his routes. After turning 75 in November 2017, Reggie says he is able to keep up with this schedule because he eats extremely healthy. He plans to deliver Coffee News in Hernando County for many more years to come! Jean is a graduate from York College of Pennsylvania earning her B.S. degree in Medical Records Administration. She further received her Certification in Tumor Registry where she worked in the Cancer Centers at Bayonet Point Regional Medical Center and Oak Hill Hospital. Jean was volunteered to be the Chair of the first American Cancer Society’s Spring Hill Relay For Life which won the Florida Rookie Of The Year Award. Her passion for helping cancer patients led her to work for the American Cancer Society for 17 years as a Program Service Manager and Community Representative. Jean has managed 27 Relay For Life events in Pasco, Hernando, and Citrus Counties and started Making Strides Against Breast Cancer in Pasco. She was honored with the Florida Southwest Region Outstanding Community Representative Award. Jean is an Alumni of the Leadership Hernando graduating class of 2009. 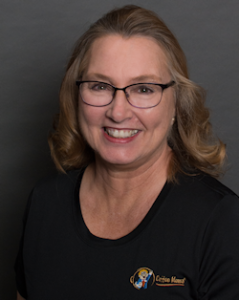 Her passion to connect people and expand business relationships led her to work as the Membership Development Representative for the Greater Hernando County Chamber of Commerce with a current membership of over 950 businesses and individuals. With over 28 years of in depth networking and community relations throughout Pasco, Hernando, and Citrus counties, Jean has developed a comprehensive knowledge of the community’s resources and needs. In addition her expansive base of community relationships will quickly prove to be an invaluable asset to your business. 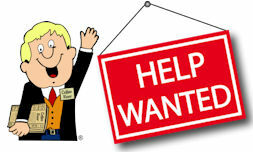 She is very excited to work with the Coffee News Suncoast Team and begin to become your business Account Manager! 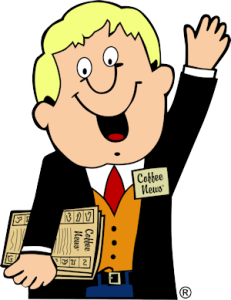 Let me help market your business through Coffee News Suncoast! Raised in New York/New Jersey, Nicholle began her professional career in Florida working in Advertising and Marketing. While earning her B.A. in Business Administration from Saint Leo University, she worked in Project & Event Management as the Entertainment Director for Citrus Hills Golf & Country Club in Citrus County. 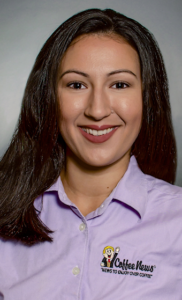 Upon graduating with honors, Nicholle started her own Business Development and Management Consulting firm taking on corporate Center of Excellence teams, and small business owners as clients in the US and over seas. She has since earned awards from local organizations recognizing her leadership and management talents. When an opportunity to purchase a Coffee News franchise became available, she jumped at the chance to further her mission for connecting community by shifting professional gears back to her roots in advertising. As early as grade school, she has always felt strongly about giving back to the community and has done so in numerous ways. She has volunteered her time, talents, and other efforts to organizations such as the Citrus and Hernando County Chamber’s of Commerce, The Arc Nature Coast, Habitat for Humanity, The SEED Foundation, American Cancer Society, U.S. Coast Guard Auxiliary, Hernando Sheriffs Office, National Alliance on Mental Illness, Rotary and Kiwanis community organizations, just to name a few. “We are always looking for organizations and events happening in the community to connect with our readers who share my same passion for supporting local.” As the franchise grows, the Coffee News Suncoast Team is always seeking individuals who are passionate about the brand and are also self-starters, ethical, accountable, and family-oriented, to join the team.